SAN DIEGO -- A new baby at the San Diego Zoo came as a real surprise. 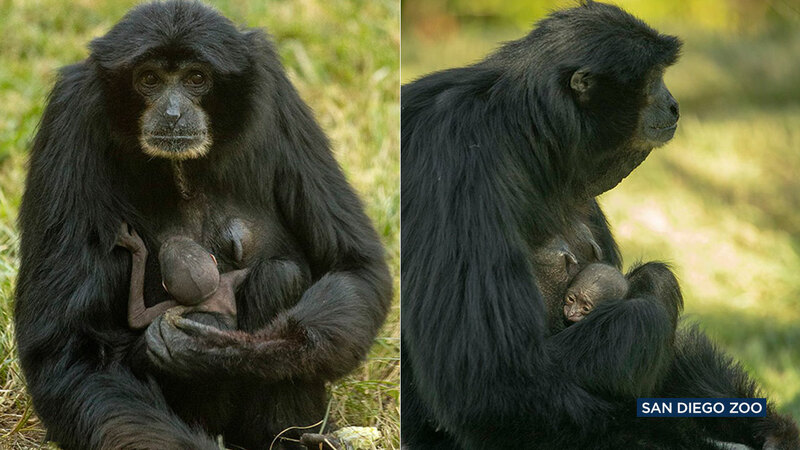 Eloise, a 37-year-old siamang - that's a type of gibbon - had been on birth control for years. But on Nov. 12, she gave birth to her seventh child. Eloise and her partner, 35-year-old Unkie, had their last child at the zoo in 2006. The zoo says Eloise hadn't shown any signs of pregnancy and it's unclear why the birth control didn't work this time. Still, animal care manager Jill Andrews tells the San Diego Union-Tribune that the zoo is overjoyed. Andrews says any birth involving an endangered species is a reason to celebrate. Zoo officials haven't determined whether the baby is male or female yet. They want to leave mother and child alone for now.